We need to bee honest, a small patch of flowers planted in your yard is not going to save the bees in the short term. While it will produce some pollen and nectar, it won’t be enough to fulfill all of the bees, birds or other pollinators needs. But that’s not our mission when convincing you to plant flowers, and it shouldn’t be your goal when doing so. The fruit of this labor is awareness! By showing others the beauty of moving away from pristine green lawns you can have an impact locally. If even only one passer by likes your pollinator garden and plants their own we’ve achieved success! The other major benefit is a re-connection with natural world. A pollinator garden will attract birds, bees and butterflies. You’ll enjoy watching, identifying, learning about and taking pictures of them. We can (almost) guarantee it! Guess who else will be interested? Kids, house guests, friends, and neighbors! The hope is that even just one of them takes an interest. Now we have had a positive impact on pollinators and more importantly our community. So are you ready to help make a difference? It only takes a small piece of otherwise unproductive lawn or even a planting pot to start! Here is a list of beautiful flowers to attract honey bees and our other flower friendly bugs and birds during Summer. Plant one or plant them all! 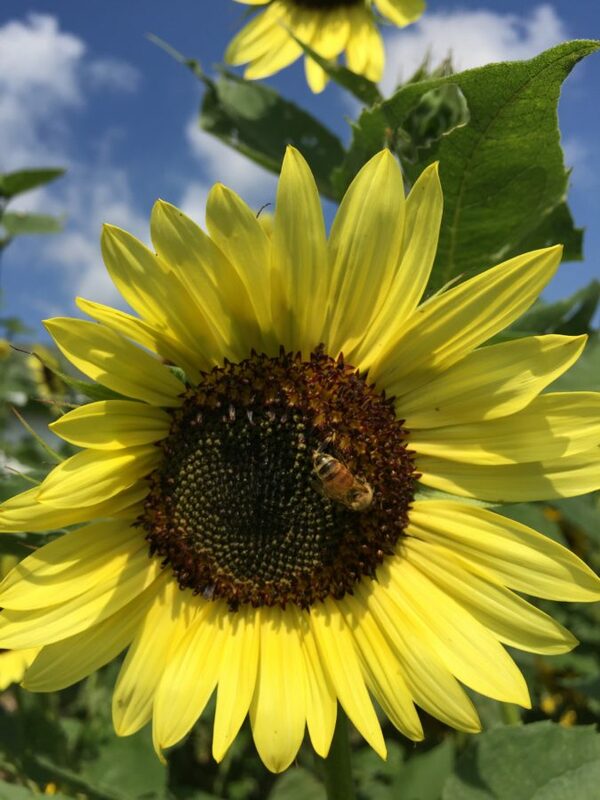 1) Sunflowers – Nothing is as quite as attractive to bees and the eye as a patch of sunflowers! The come in a variety of colors and sizes. If you allow them to go to seed expect to have a healthy patch again next year and enjoy the birds that will flock for the free meal! 2) Black Eyed Susans – I’m a bit biased since this is the state flower of Maryland where I spent a good deal of my early life. However, many would say the Black Eyed Susan is one of America’s favorite wildflowers. No one is quite sure who Black Eyed Susan was but it’s believed it all comes from an Elizabethan era poem titles “Black Eyed Susan” by John Gay. These flowers just scream SUMMER! and they bloom prolifically. Black Eyed Susans are a good way to get a dense stand of beautiful, bright flowers. 3) Bee Balm (Horsemint) – Well the name is a good indicator that if you plant it the bees will come! It attracts seed loving finches, butterflies and honey bees. The name is attributed to the fact that it’s leaves used to be used to sooth bee stings and abrasions. Native American tribes also used it’s leaves to brew a medicinal tea to alleviate cold symptoms. 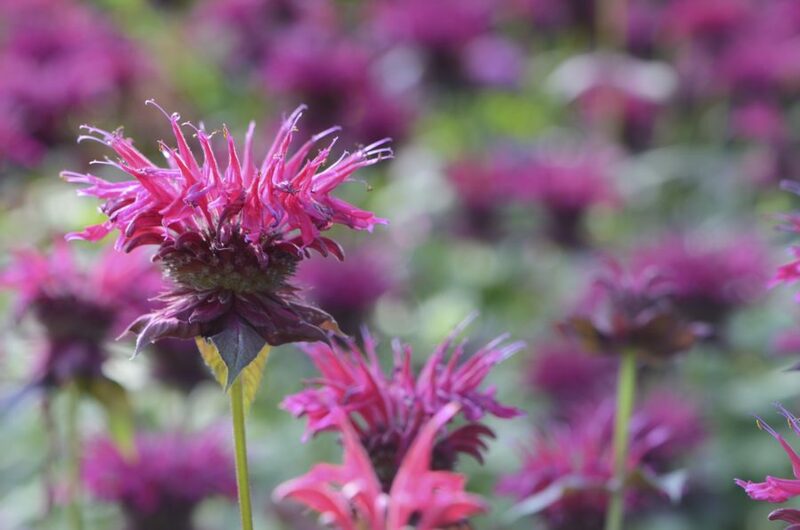 Bee balm comes in a variety of colors, is native, and smells wonderful. Most animals will avoid it if you happen to have a deer problem. 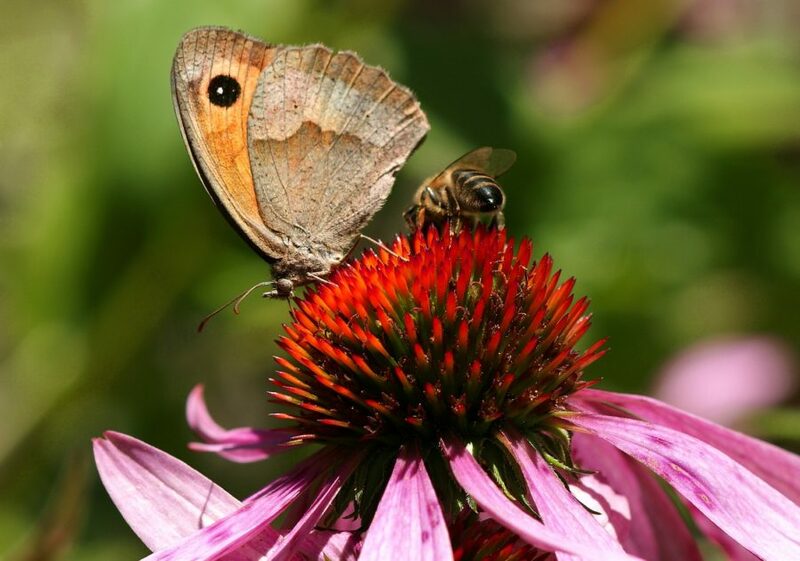 4) Purple Coneflower (Echinacea) – Bees and butterflies enjoy the blooms while seed eaters enjoy the seed heads. The are resilient and beautiful offering a variety of colors. However, try to avoid hybrids if you can. It was used by the Plains Indians as a painkiller for a variety of ailment and is still in use today. Coneflowers make an excellent cut flower and if you dead head the plant you’ll get blooms into fall. 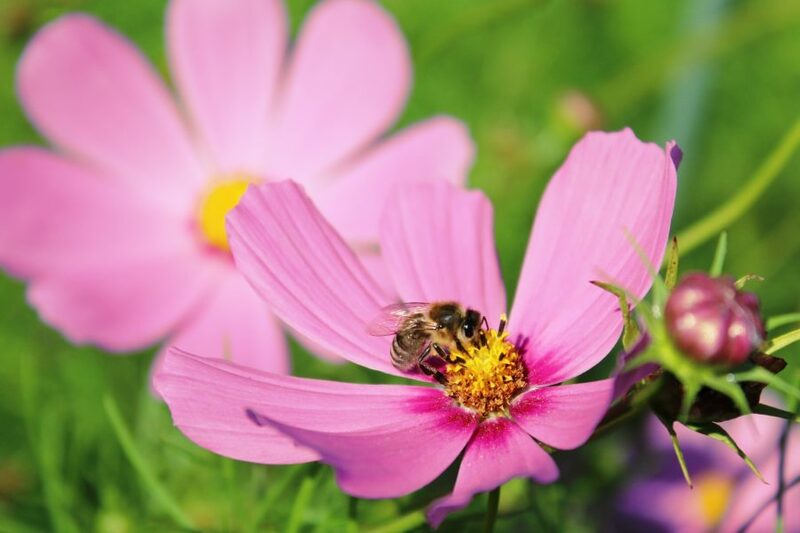 5) Cosmos – A member of the sunflower family that will provide extended blooms if you dead head. 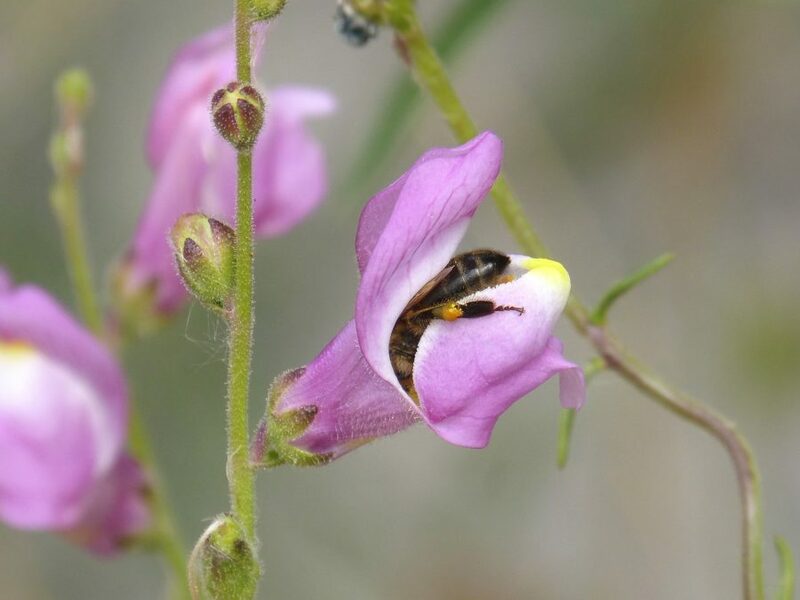 This flower provides both nectar and pollen as well as nest material for leaf cutter bees! 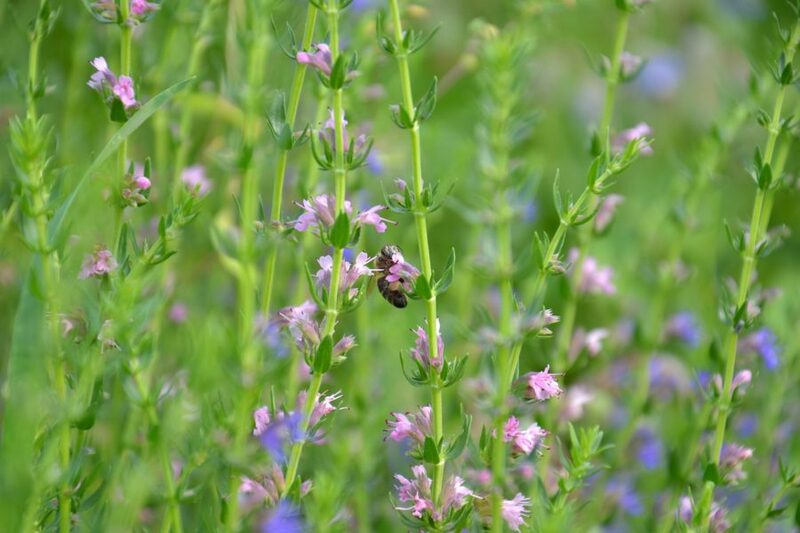 6) Hyssop – A fragrant member of the mint family that belongs in any herb garden. Attracts loads of pollinators and is native in the northern regions of the U.S. In the past it has been used as an aphrodisiac and to keep out witches 🙂 It’s clustered spikes of purple flowers make this a beautiful addition to your yard. 7) Snapdragon – An strong scented flower that releases 4x more scent then other flowers during the day when honey bees are on the prowl. Possibly one of the coolest flowers to watch a honey bee work as their weight pulls down the lower petals so they can climb inside. You’ll want to have your camera ready! Hopefully you found a flower or 2 (or 7!) that you’re interested in planting to provide our pollinators some Summer forage. 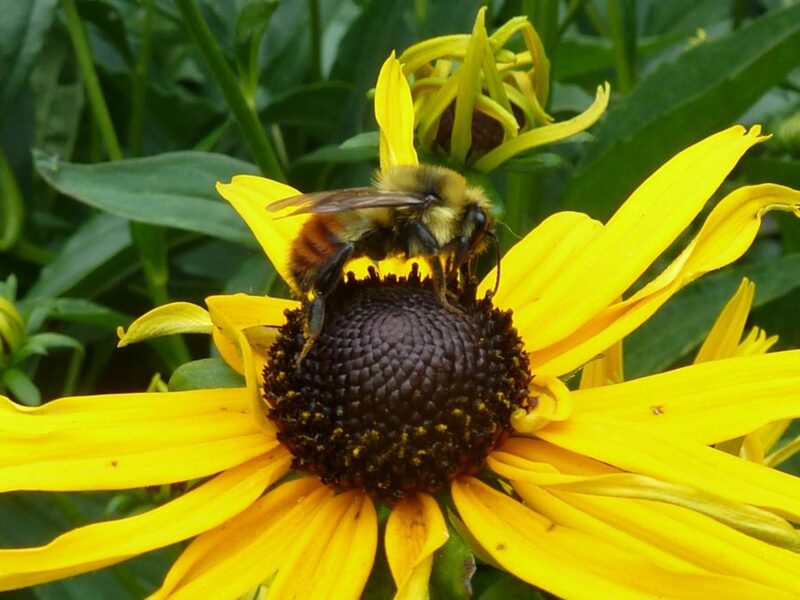 Summer is a great time to help the bees and attract some pollinators for beautiful photo opportunities. Now get out there and turn some of that lawn into something that benefits everyone! Enjoy! If you have had luck with other native wildflowers let us know in the comments below. And of course, if this post inspires you, please share it with others!